Art Nouveau is the last of the great universal visual styles. Spread practically across the entire Western world at the turn of the 19th and 20th centuries, it left its mark in architecture, painting, sculpture, and other genres. It could be argued that Art Nouveau’s chief appeal for contemporary tastes lies in the way it permeated everyday life. Women’s clothes, jewelry, street posters and signs, furniture, dishes – all of these items of daily use were influenced by the Art Nouveau style. Even the stations of a new and then-modern transportation method, the underground, were executed in this new stylewhich was called Jugendstil in Germany, Sezession in Austria, stile floreale of stile Liberty in Italy, and Estilo Modernista in Spain. The name Art Nouveau itself is derived from a small but influential Parisian art gallery, Maison de l'Art Nouveau, whose German owner, Siegfried Bing, showed and sold then-innovative artworks executed in the style. According to his memoirs, it never was Bing’s ambition to help establish a new artistic style, he merely wanted to provide exhibition space to talented up-and-coming artists. Over the course of these two decades (approximately 1890-1910), sometimes described as the golden age of European social life, the Art Nouveau style influenced artists of all generations. Its strikingly decorative stylings, use of new materials and unusual color schemes, emphasis on curves and floral motifs – all of these features gained the style popularity also among the older, established generation of architects, painters and sculptors, a generation steeped in the tradition of historical inspiration and eclecticism. 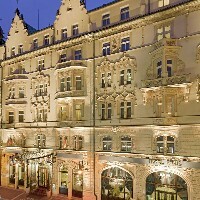 Several Prague hotels belong to the main Art Nouveau sights. 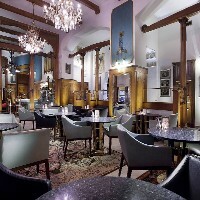 Most of the original features remained preserved mainly in architecture and facades of buildings, in several cases, even in the interior of hotel restaurants and other public spaces. Hotel rooms are furnished without exception in a different, mostly modern style. 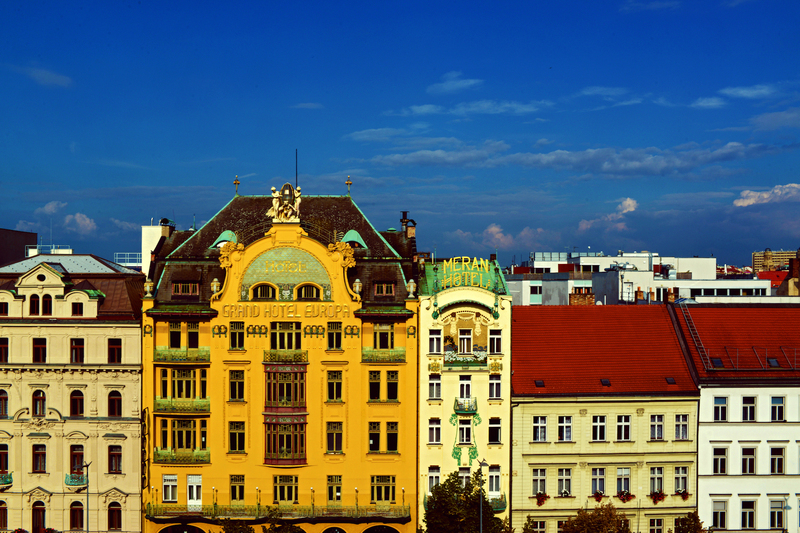 The Art Nouveau architecture has influenced the face of Prague as well. It left us beautiful buildings and interiors. Municipal or Topič House, the Czech Insurance Company building in Spálená Street, the seat of the Goethe Institute on Masarykovo Embankment, Main Railway Station with the Fanta Café as well as the Čechův Bridge and the Jan Hus Monument in the Old Town Square are clear proof of this. 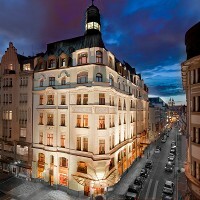 A separate chapter are the Art Nouveau Prague hotels. 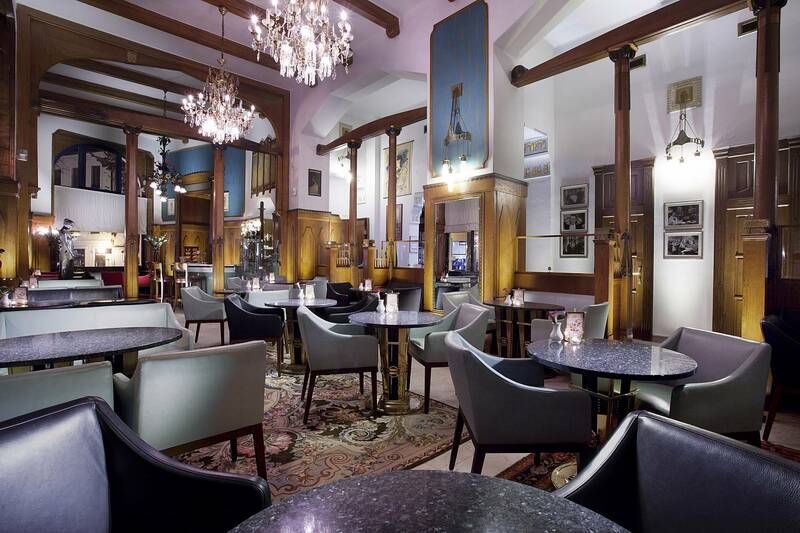 The unmistakable look from the beginning of the last century belongs to one of the most beautiful Prague hotels, hotel Paris, located in the historical centre of the city. 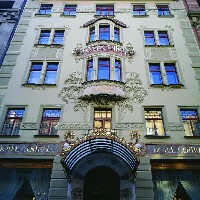 The Art Nouveau details decorate the neo-Gothic building designed by architects Jan Vejrych and Antonín Pfeifer in 1904. Thanks to the fact that the hotel was declared a historical monument it boasts the original interior decoration. 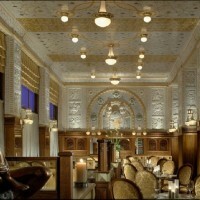 This applies for example to the beautiful decor of the Sarah Bernhardt restaurant. 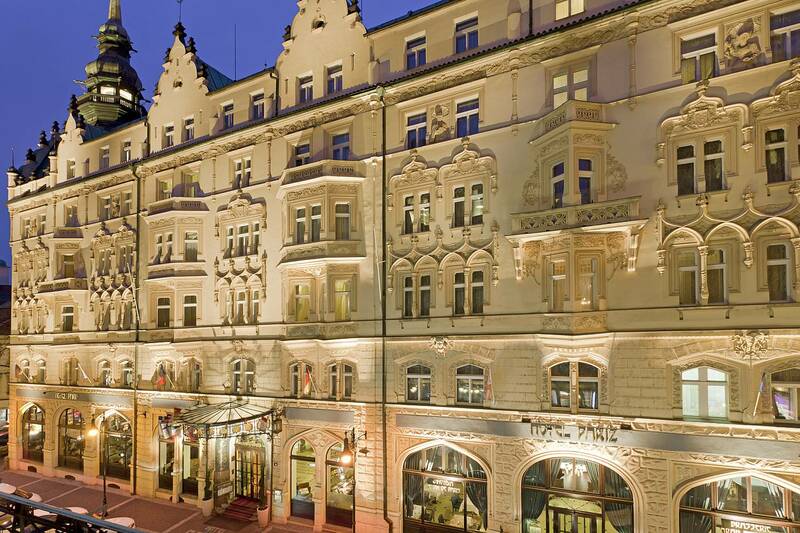 Only few of Prague hotels can boast such a rich history, just like the Palace hotel. There were palaces in the area already in the 14th century. 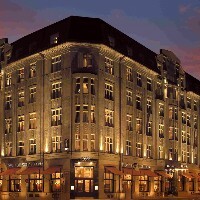 The present hotel was created in the style of Viennese Art Nouveau school in 1909 by architect Georg Justich. 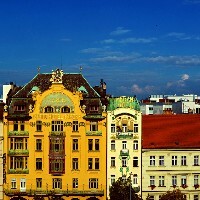 Wenceslas Square boasts many interesting buildings and the variety of architectural styles is typical for it. 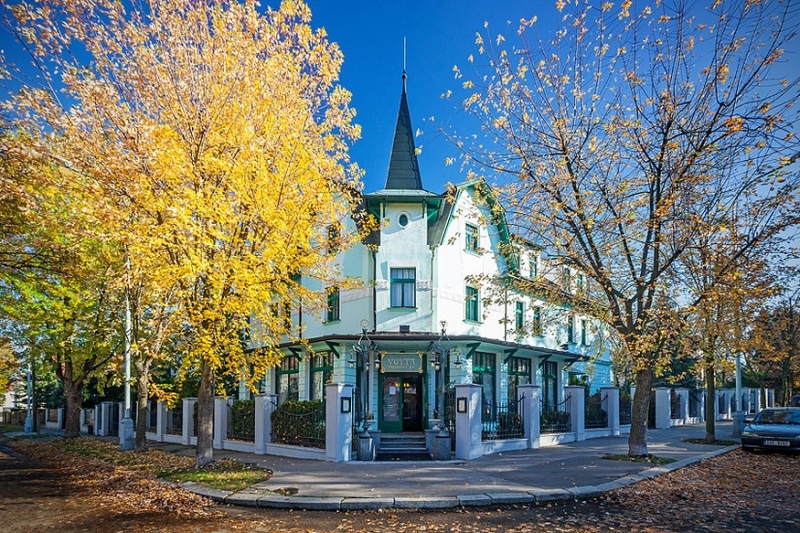 In the middle of the square the Art Nouveau style hotel with beautiful floral decoration rises, built between 1903-1905 and designed by architect Alois Dryák and Bedřich Bendelmayer. Sculptor Ladislav Šaloun created details of the facade, at the top there is a composition of statues underpinning the globe. 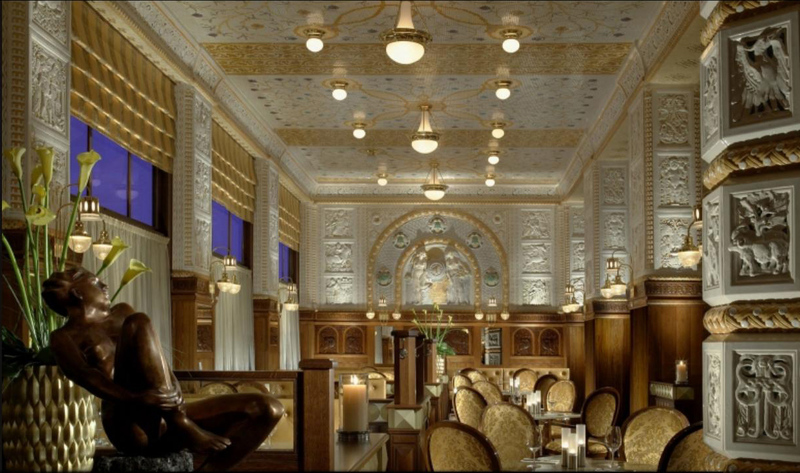 Details of the rich Art Nouveau interior can be studied with a cup of coffee or chocolate in the hotel café. Hotel Evropa is under the reconstruction. 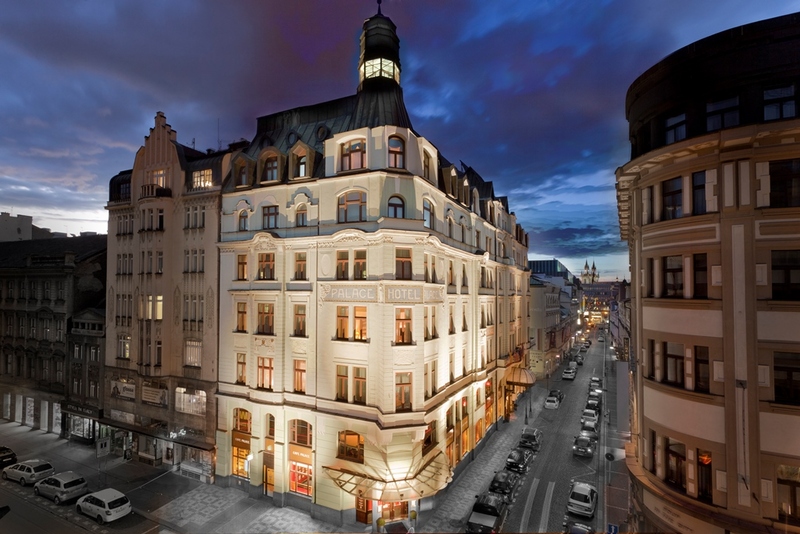 Hotel Meran was built as a small family hotel in the middle of the Wenceslas Square between 1895 and 1906. 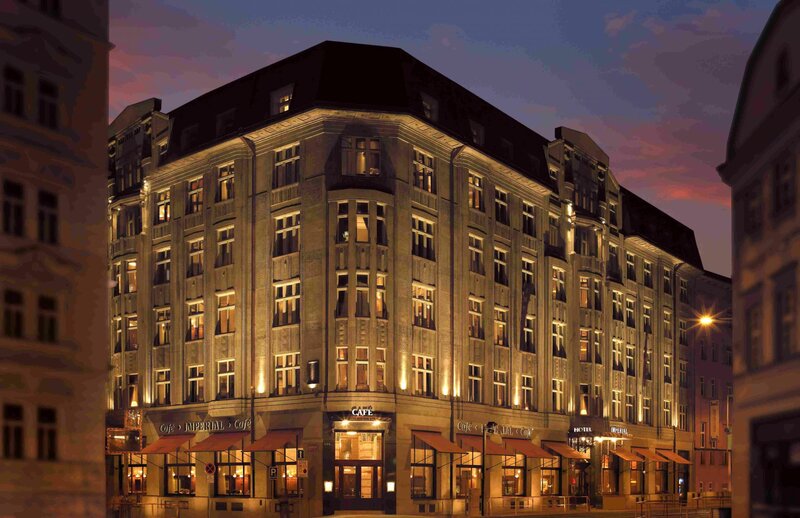 Together with hotel Evropa it has been considered an architectural jewel and embellishment of the square. The Art Nouveau details are clearly visible on the facade. One of the oldest and most beautiful Art Nouveau buildings in Prague was founded as early as in 1899 and designed by architects Alois Dryák and Bedřich Bendelmayer. The spiritual father of this architecture was, however, Friedrich Ohmann. Gorgeous Art Nouveau details on the facade (portal, above the window decorations, lamps) and inside the hotel (grilles, lighting, lift, stained glass) combine with modern built-ins. 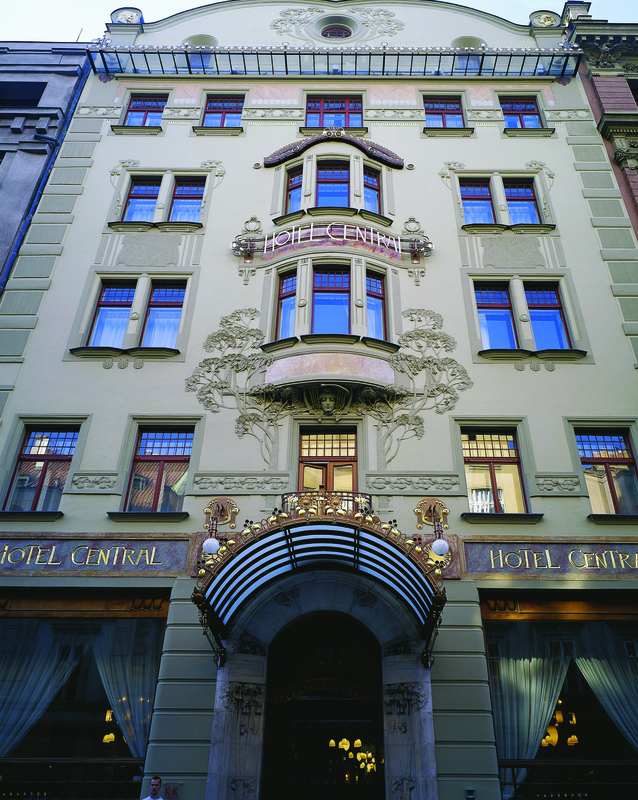 One of the most beautiful hotels in Prague was built in a mixture of the late Art Nouveau and Art Deco styles in 1913-1914 - beginning of the World War I, designed by Jaroslav Benedikt. Late Art Nouveau mosaic decoration of the interior was designed by Prof. Jan Beneš. Franz Kafka enjoyed his coffee in Imperial, Leoš Janáček used to live here. Café Imperial restaurant, open to the public, prides itself on in Prague absolutely unique interior with rich majolica decoration. 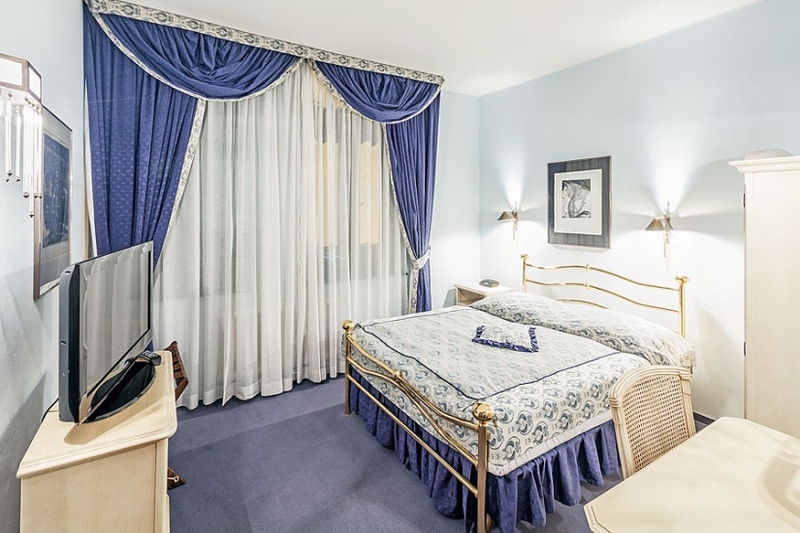 For more than a century, since 1912, the Villa Voyta hotel has offered its services. 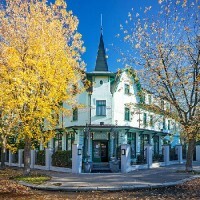 Interesting Art Nouveau building was built in a newly built residential area, surrounded by greenery and pleasant summer garden.